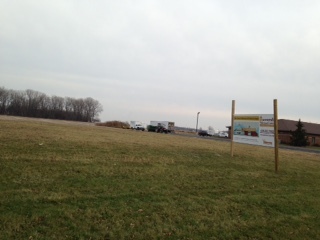 In 2014, with the help of the State of Ohio and the Fulton County Commissioners, FCHS were given the opportunity to participate in the development of a large complex at 8848 State Route 108, Wauseon, Ohio, across from the Fulton County Fairgrounds. This complex would include buildings to the east (back) of the site that would be used by the Ohio Department of Transportation. The front (west) of the site would be a building that would house county offices such as EMA, EMS, EOC meeting room and the Visitor’s Bureau. The museum would be an extension of this “Welcome Center” building. Thus the Museum and Welcome Center of Fulton County, OH, was born.